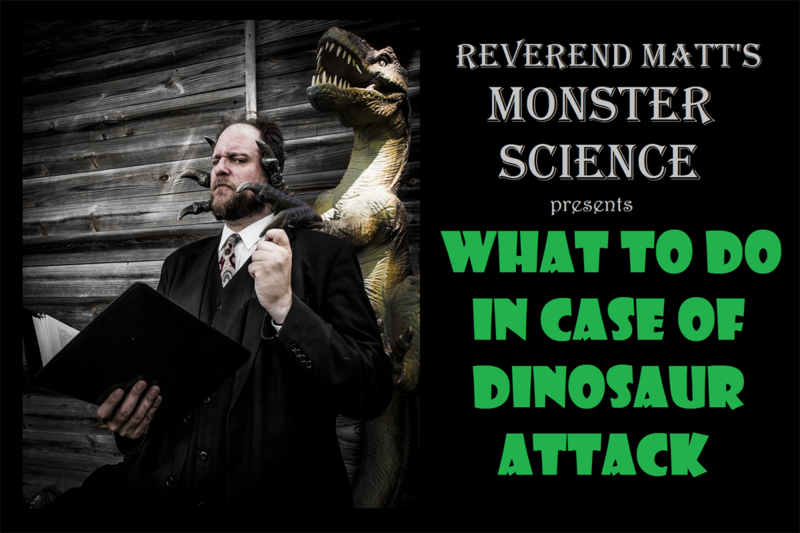 Cherry and Spoon: Minnesota Fringe Festival 2018: "What To Do In Case Of Dinosaur Attack"
Minnesota Fringe Festival 2018: "What To Do In Case Of Dinosaur Attack"
Summary: Reverend Matt (aka Matt Kessen) brings his popular sci-fi/comedy/science series to the Fringe. Highlights: For 50 minutes, a guy stands on a stage and talks about dinosaurs. And it's awesome. Reverend Matt's obvious passion for the subject, his vast knowledge of both the scientific and fictional sides of the topic, and his droll delivery make this an entertaining show for dinosaur lovers and newbies alike. The entire show is set up as Dos and Don'ts for if you ever find yourself being attacked by a dinosaur (It could happen. No it couldn't. ), some hilarious, some sensible, some goofy. He also delves into specific types of dinosaurs and each one's strengths and weaknesses. The accompanying slide show includes scientific facts and drawings, as well as dinosaur representation in movies, cartoons, books, and TV shows. Dressed in a suit, reading from a book, and wielding a remote for the slide show (which really should be a pipe or a pair of glasses), Reverend Matt is a wonderful guide through the weird (and true, but not always true) world of dinosaurs.